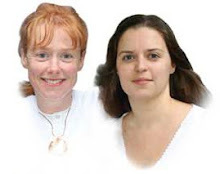 Caroline and Donna will be available on the 14th November 2010 for private therapy sessions. The Archangels and Ascended Masters connect to you through Donna or Caroline in a healing one-to-one therapy session. Channelling words of truth, love, knowledge and wisdom to encourage, empower and aid you to release unhappy feelings such as confusion, trauma, shame, guilt, pain and neglect so that you can find and accept your true self. These treatments are for your divine highest good, working on clearing current issues, and bringing you to a liberating place of surrender, surrendering to your inner light, finding your own truth and becoming your true self. These treatments can be life altering; working with unconditional love-light energy they are found to be freeing, healing, warming, confidence building, bringing acceptance and empowering one’s life to help clear away old unwanted patterns and belief systems helping you to a clearer more divine place. Helping you to find the real YOU. Each treatment is tailored to your specific needs. A treatment with an attunement from the Archangels, Ascended Masters or a Light Vibrational Healing attunement can also be arranged. Trust and allow the Archangels and Ascended Masters to connect to you and make a positive difference to your life.